The trivago Hotel Price Index, a leading resource for tracking hotel pricing trends around the world, has found a new home here on the trivago Business Blog. It’s also been updated and redesigned. trivago’s Hotel Price Index is now accessible on an interactive data display that shows prices in multiple different currencies. Additionally, viewers can choose to display this data on a map view, graph view, or table view. They can also further customize these views, depending on what information they want to extract from the data. 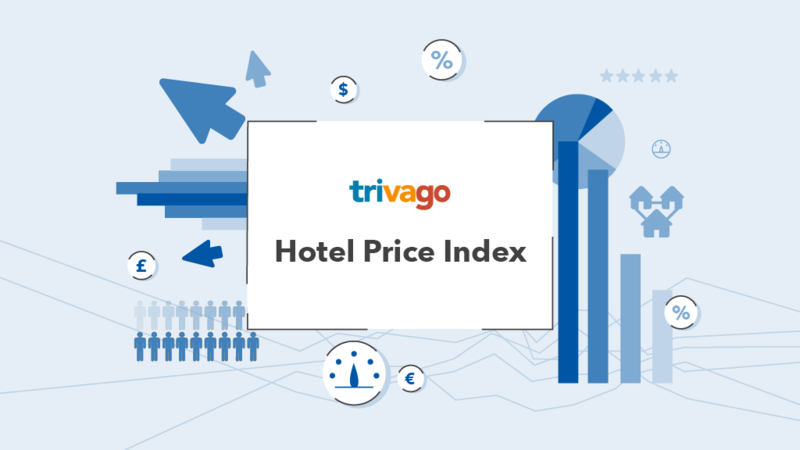 Hoteliers and journalists alike are invited to utilize the trivago Hotel Price Index to gain valuable new insights into the hospitality industry through its international hotel price shifts and rate fluctuations. Furthermore, hoteliers can use the trivago Hotel Price Index as a tool to support them in establishing competitive pricing strategies for their properties. Important to note: this comprehensive hotel pricing data is still completely free to access. trivago aggregates data on room rates listed on over 400 bookings sites for over 2 million hotels around the world. Using this data, the trivago Hotel Price Index records average monthly overnight prices for a standard double room. Every month new data is published for hotel prices in 50 major cities across 6 continents. Showing both month-on-month and year-on-year price shifts, the data displays monthly rate averages based on the prices travelers clicked on in the month prior to travel. So, for example, July 2018 trivago Hotel Price Index data represents the average prices selected (clicked-on) by travelers searching in June for a hotel stay in July. The trivago Hotel Price Index page provides further guidance on how to utilize and cutomize each of these views. The trivago Hotel Price Index provides invaluable insights into traveler spending and booking behavior. Because the data is the average clicked-on price — the prices travelers were ready to pay — it reveals pivotal information about how much guests are willing to spend on accommodation in a given location at a given time of year. And that information is indispensable to every kind of hotel business developing an effective pricing strategy. Equally important for setting appropriate and competitive room rates is data on competitor prices, as well as fluctuations in market demand. Which is why trivago has also made this data available to hoteliers around the world. In addition to the trivago Hotel Price Index, trivago also provides hoteliers with hotel pricing data specific to their markets and main competitors. This data includes 360 days’ worth of real room rates and can be accessed via Rate Insights, the rate shopper tool found within trivago’s metasearch marketing platform trivago Hotel Manager PRO. The article “trivago Gives Hoteliers Access to Over 5 Billion Room Rates with Rate Insights” provides additional and more in-depth information on the hotel pricing data available to hotels. And be sure to write to us in the comments section below! Feel free to leave any questions, comments, or article requests. We’re happy to hear from you.